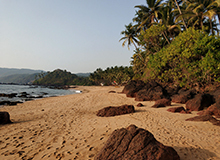 One of the two state districts, North Goa is the tourist hub. 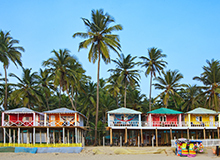 It is home to the most popular beaches, flea markets as well as the most sought-after pubs and nightclubs in all of Goa. 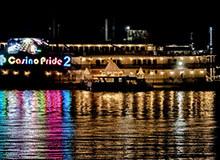 It is also the cultural heart of the state as it is home to its capital, Panaji or Panjim. 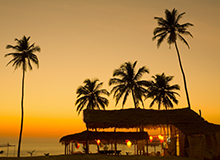 By booking hotels in North Goa, you are within easy reach of all this buzz and vibrancy. Whether you are looking for hotels in North Goa near beach or amidst the buzz of towns, you have plenty of options to choose from. From airport: It is easy to reach North Goa from Vasco Da Gama Airport by cabs, taxis and buses. From railway station: There are two major railheads in North Goa: Thivim Railway Station and Karmali Junction. Buses and taxis are available from both these railway stations to travel within the region. Why Book FabHotels in North Goa? FabHotels is the best answer to the question of “Where to stay in North Goa” as we have numerous luxurious hotels in the region. Apart from the best budget hotels, we also have the best resorts in North Goa with swimming pool, restaurant and bar facility. There are also several 4 star hotels in North Goa that offer you a relaxing stay without burning a hole in your pocket. 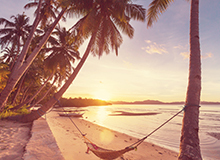 For making hotel booking in Goa on the go, you can download our iOS or Android hotel booking app that feature regular deals and offers. 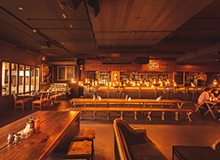 For more budget friendly stays, you can enrol in our A-List loyalty programme that gives you Fab Credits every time you book with us. These points, thus accumulated, can be redeemed for extra discounts and free room nights. You can also refer FabHotels to your friends; this way they get ? 700, and you get ? 500 when they check-out. FabExpress Vagator and FabExpress Horizon Shalom are two of the best FabHotels in North Goa for couples. Thivim railway station (about 18 km away) is the nearest to Baga Beach. 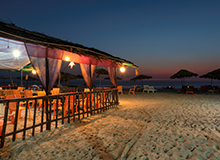 Things to do in North Goa at night include shopping at Arpora Night Bazaar, partying at the numerous clubs on Tito’s Lane, moonlight walk on the beach or dining at beach shacks. Navtara, Bhojan, Bean My Up, Saraya Art Café, Jalsa and Legacy of Bombay are the best veg restaurants in North Goa. 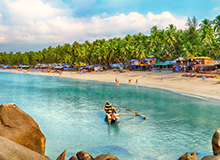 In North Goa, you can go to popular beaches, flea markets, museums, beachside shacks, nightclubs, floating casinos and wildlife sanctuaries. FabHotel Maitri Sweet Living is good for office events in North Goa as it has a conference hall. 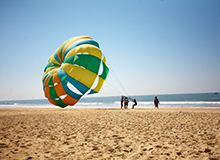 Calangute Beach, Baga Beach, Sinquerim Beach, Candolim Beach and Aguada Beach have water sports in North Goa. 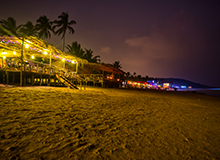 FabHotel All Seasons and FabHotel Arotel Rooms & Suites are close to Candolim Beach. Calangute Market Square, Arpora Saturday Night Market, Mapusa Market, Ingo’s Saturday Night Bazaar, Mackie’s Night Bazaar, Calangute Market Square and Anjuna Flea Market are famous for shopping in North Goa. Yes, several FabHotels in North Goa have swimming pool, such as FabExpress Vagator and FabEscape Coco Heritage Resort.